Dating is like a masquerade ball. You know the ones where everyone holds those masks on a stick? The identity of the ball-goers is a mystery. No one reveals their true face until they’re ready. Masks tell us a lot. They show us how a person wants to be perceived. And that’s almost as revealing as knowing what the person is really like beneath. These days, your “mask” is more likely to be an online profile than a patch of fabric and feathers. But that doesn’t make it any less significant. Masks make us feel comfortable. They’re one way we can control how others see us. You can’t get close to someone with your mask on. You can’t kiss through a mask. You’ve got to take it off if you want to know and be known intimately by another. That big reveal is a pinnacle moment in a relationship. It’s when he sees who you really are, underneath the identity you’ve carefully crafted for yourself. And it’s just as big for him. He’s been wearing his own mask. Will you still feel the same about one another, once the masks are off? In a minute, we’ll look at ways to ensure his feelings for you don’t waver. But first, you might wonder whether you should be wearing a mask at all. Wouldn’t it be easier if everyone was honest about their faults and failings from the get-go? Masks work. Nothing is more important than that first impression. It takes him a tenth of a second to sum you up, and that first impression is likely to last. There’s a point to the masquerade. Illusion and mystery add to the fun. If everyone else is wearing fanciful masks and elaborate gowns, you could show up in jeans and sneakers. But why not play along? Even Cinderella made sure she was dressed appropriately for the ball. As a result, her prince refused to doubt his first impressions. The woman on his arm was clad like a princess, so a princess she was. He refused to believe otherwise, even when confronted by iron-clad evidence that his “princess” was actually a scullery maid. Don’t feel guilty for wearing a mask. It’s all part of the game. Even at masquerade balls, everyone knows the masks will come off at some point. They expect it. 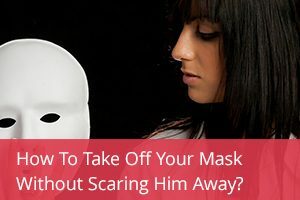 Similarly, when you’re dating, you can be sure he knows you’re wearing a mask. At some point, he expects to see beneath it and discover the real you. It’s not going to come as a huge shock. None of us are perfect. We all have things to hide. He just hopes that it won’t be anything serious. But when should you do it? 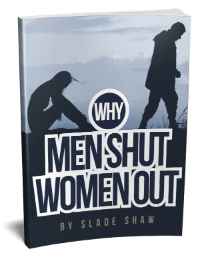 When should you let down your guard and let him into the less-than-perfect areas of your life? Wait until he’s earned your trust. It can be tempting to overshare in an attempt to build intimacy fast. “I’ll share one of my secrets; now you tell me one of yours.” But oversharing often ends in a case of TMI … Too Much Information. If Cinderella had told her prince before that first dance, “You know, you shouldn’t really be dancing with me, because I’m just an ordinary scullery maid,” she could have pushed him away. Instead, she allowed her mask to do its work. And when he did find out who she really was, he didn’t bat an eye. Always test the waters first. Tell him something small you don’t mind him knowing, and see how he reacts. 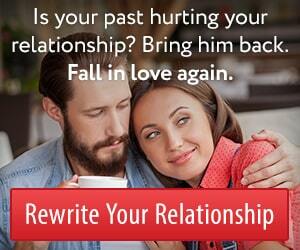 You might talk about a previous relationship that went sour or a job that didn’t work out. See if he respects your confidences. That’s incredibly flattering. He’ll be focusing on how good it feels to be trusted, transforming that scary moment of sharing into a beautiful moment of connection. So enjoy the dance. And when it’s over, take your relationship to that next level. Give him the honor of knowing the real you. This entry was posted in Dating, Relationships and tagged being yourself by James Bauer. Bookmark the permalink. Is this a book or audio or DVDs with closed captions? If it’s a book to read bor a DVDs with closed captions then that’s so awesome. For I am deaf. Our courses come with both written and audio formats. You have access to both versions after a purchase. I’m blown away by the information I read in this post. I’ve been in a five year relationship and quite frankly I’ve tried almost all of the advice given in this post. I have to say It really works. Don’t get me wrong, my relationship isn’t perfect, but for the most part it’s been working as well as I expect my relationship to be. I’m a person that’s always researching and a analysing things, I try different things and I like to approach things in a professional manner. I’ve always been thought throughout my life, if you want something that badly, to work very hard at it. Well I’ve been through four relationship in my life time and for the first time, I recognize and felt this strong urge inside, not like anything else in my past, but for the first time I felt connected to this person, my love of five years, a feeling like no other. I recognize deep within my spiritual self that I will do my very best to keep this relationship alive and energetic. I to had my mask on and it took me two solid years, into our relationship to slowly remove the mask. In my case I had too, I have a great paying job, my boyfriend struggled with his real estate job and I never once while dating him told him exactly what position I held. He knew where I worked, visited me from time to time, but never knew the title I held. I worked in the entrainment business for 19 plus years. Everything we did together was simple and easy. No fancy restaurant no fancy cars. But after two years of holding back, I broke down and told him a little bit of what I did and the salary that comes with it. He was quite shocked and also happy for me, but at the same time it made him feel less of a man because his girlfriend made twice or three times his salary. This is why I say, I work hard at my goals, and my relationship is one that I’ve yet to compare to any other relationships if been in, and for the most part, he’s been very supportive and did not run away. I know most people would say, well why should he, she’s making the money. Well if everyone knows him they would say differently. He’s too proud of a man to depend on his fiancé salary, and to this day he’s actually still the person that takes care of mostly everything. I never have to second guess his actions. So thank you for all the post and for readers like myself who’s always searching. Keep on posting, it works.